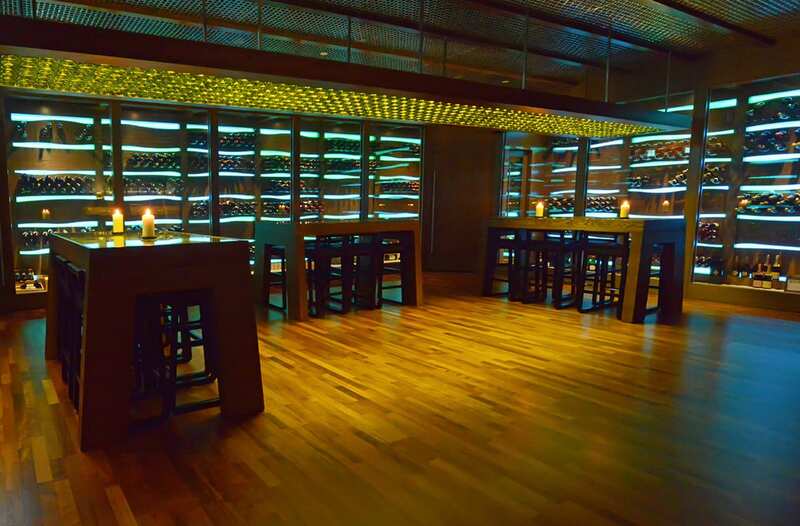 Wine cellar built on a rocky cliff facing the gorgeous views of the Bosphorus seaway in Istanbul, Turkey was an inspiration to the interior designers of Cave Bar of Dubai Conrad Hotel. 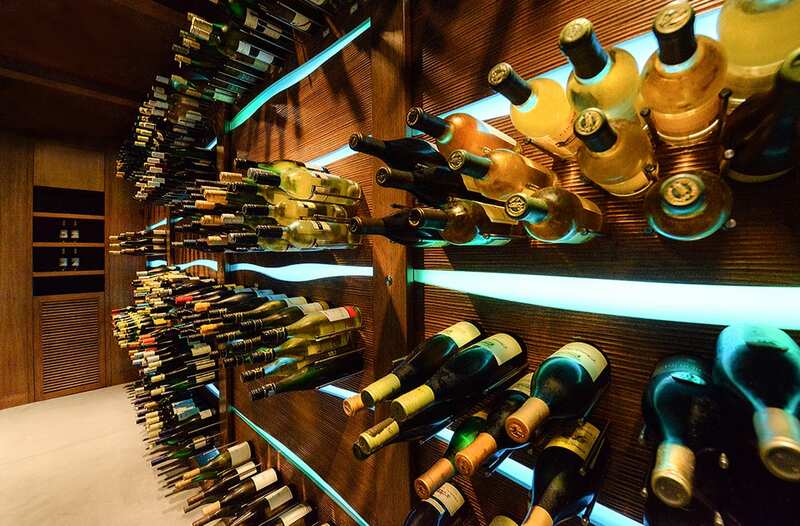 They conceived the bar as an authentic wine cave with crude walls, dramatic lighting and all walls covered with wine bottles. Focus Wine Cellars designed the wine cellar area as a tasting room large enough to accommodate bigger groups, which is embraced by fully transparent wine storage. 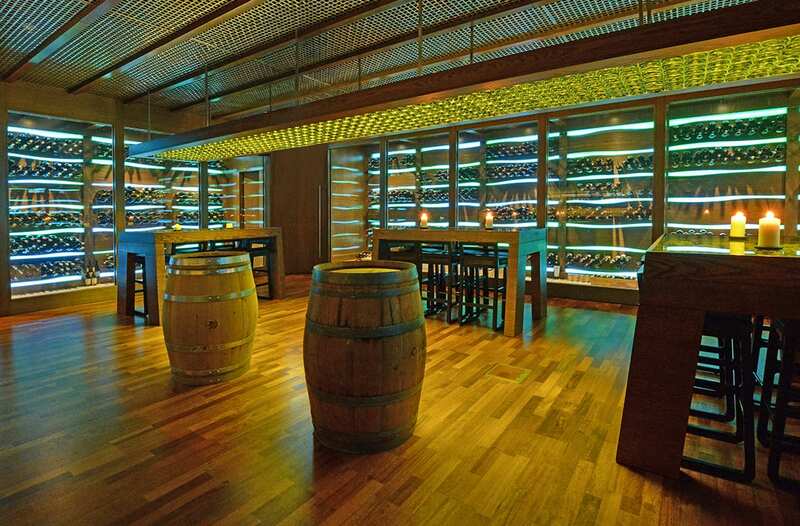 The horizontally aligned wavy strips of light and alternating hoards of wine on rugged timber logs give the impression of a continuous wine storage but in fact it is a threefold cellar, all individually set and maintained to keep different wines at temperatures close to their serving temperature.